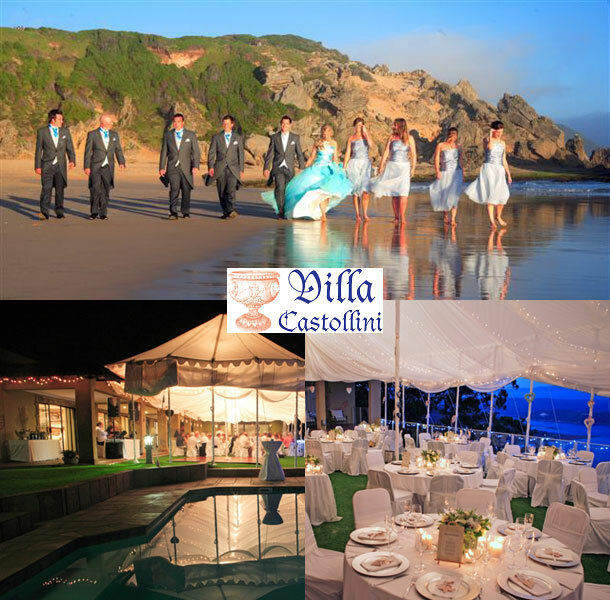 Villa Castollini is Knysna’s most stunning location for your wedding. At the Villa you will celebrate your love in breathtakingly beautiful surroundings. 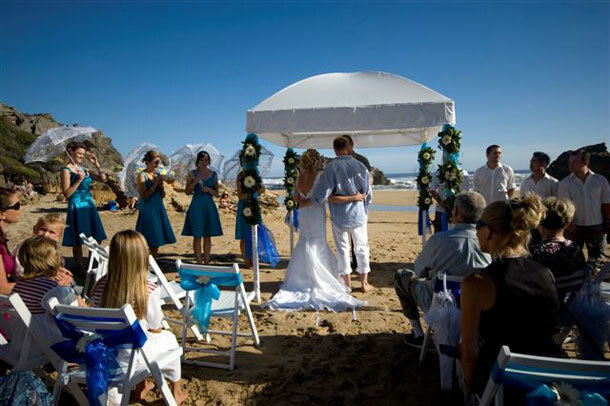 For that unforgettable wedding ceremony and reception, the Villa offers exclusive use of the venue. At the Villa, we have loads of experience and references to ensure your total peace of mind. We strive to take away the stress by supporting you every step of the way and providing solutions to any situation that might arise. We pride ourselves on being people friendly and easy to work with and despite the pressures of organising such a special event, we always keep in mind that the journey should be fun. Our warm, competent, friendly staff and outstanding Chef will ensure that your unique, special day will be a day to be enjoyed and cherished. The Manager (wedding-coordinator) will be able to assist you with all the arrangements such as the minister, photographers, decorations, flowers, entertainment and of course your own individually created menu and wine choices. “We can accommodate up to 120 guests at the Villa for the ceremony and reception and accommodation in the luxury rooms and suites in knysna. Villa Castollini is also a breathtaking honeymoon destination and the Honeymoon Suite is complimentary for 1 night with your booking. At the Villa we do not believe in “packaging” weddings, instead we will customise a quote to suit each individual couple’s needs“. To book your wedding at this stunning venue visit Villa Castollini.